Air Transat is offering several flights to Faro, Portugal for $594.61* (all in, from Toronto) - all very last minute. It's a deal - don't dawdle! Never heard of Faro before - me either!!! It is at the very bottom of Portugal, on the sea. It's an easy 2 or so hour drive to Seville, Spain. Weather is between 15-20 degrees in March. If I was looking to book, I'd fly in and after a day or two, spend some time in Seville. From there, all of Andalusia is available to you! ps. not a sponsored post...obviously!!! Three weeks ago (maybe longer) I noticed flights to Amsterdam and Paris under $500...I know, right...so I thought I'd pass along any tempting deals, just in case you are an impulsive traveler! pps. what's stopping me? 1) Husband is wrapped up in work (good for him! ), 2) Still nursing my little one, 3) Need a travel companion! 4) Need babysitter here for my older son! 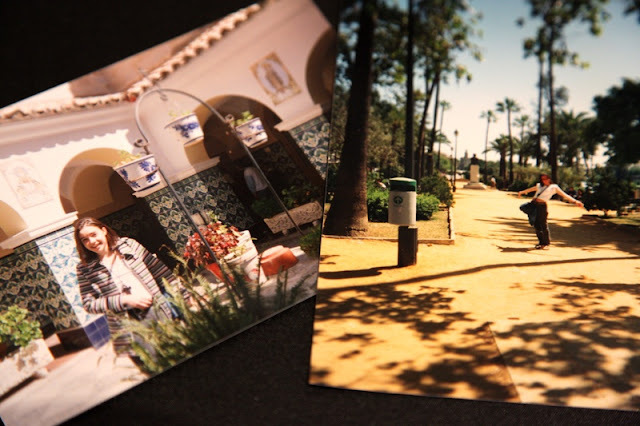 i went to spain once with my little one...it was great. I so need a vacation...a beach trip is around the corner - thank god. We did that same trip for our honeymoon - landed in Faro, rented a villa in Albuferia and rented a car and drove town to town from Lagos to Seville all along the coast of Portugal and Spain - FANTASTIC! Sigh...wishing for a trip now!